Granite is normally divided into 5 groups based on pricing tiers. 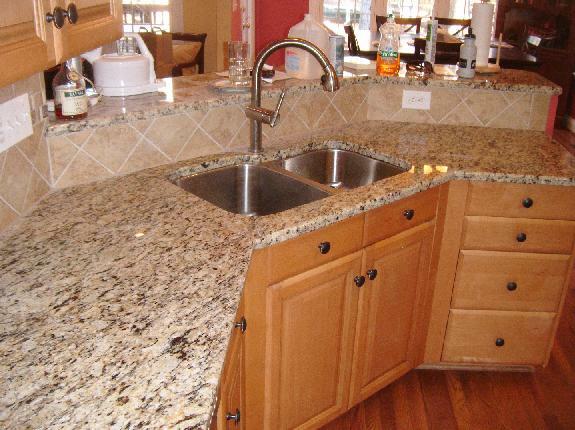 There is no difference between the quality of granite between each tier. Rather the rarity, movement in the stone, and distance traveled to get to Utah determines which pricing tier it fits into. Group 1 is the most affordable and group 5 is the most costly. Mountain States Kitchen & Bath only uses grade A granite with book matching slabs so you get the very best that there is to offer. Also, we highly recommend you pick out your slabs personally so you know exactly what you are getting. Picking granite from a sample board is very risky because the colors can change dramatically from one slab to the next. Also, this is a good opportunity to put your cabinet door against the slab to verify that they will complement each-other. This is also a good time to pick out your sink and edge.